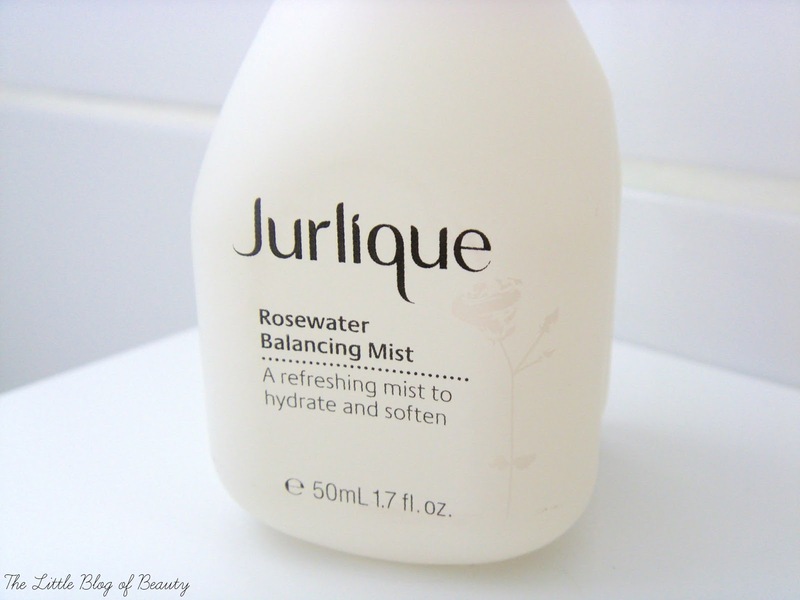 I recently won the Jurlique Rosewater Balancing mist from Jurlique themselves in some kind of competition on Twitter, but for the life of me I now can't remember what the competition was. The prize I received was a very pretty box containing three rose based products which included the Rose Moisture Plus moisturising cleanser, Rose Moisture Plus moisturising cream and obviously the Balancing mist. Reviews on the other products will of course follow in the future after I've given them a try. Jurlique's products come in very simple packaging which I really like. The bottle is made of frosted glass that is quite weighty, so it may not be one to carry around with you, and comes with a pump that dispenses a fine mist. Apart from some writing on the bottle the only decoration on there is a simple white rose that you can just about see in my pictures. This does contain alcohol and fragrance, so it might not be any good for anybody who is sensitive to either of these, but I was pleased to note that rose flower extract is the fourth ingredient out of around 17 ingredients, so there is a good amount of rose in there. There's also grapefruit seed (for antioxidant protection) and aloe leaf (to soothe and calm) extract in smaller quantities. I don't really tend to use facial mist products as I jump every single time I spray them on my face no matter how prepared I am (although you can also spray them onto your hands or a cotton pad and apply them that way) but I have completely fallen in love with this. The thing I love the most about this is that to me it smells exactly like Turkish delight, which is a scent I love. The first time I used this I tweeted to say it reminded me of Turkish delight and Georgina (who's a mummy to be) started craving Turkish delight so badly she had to ask her husband to bring some home for her! Although it does make me jump I do like to spray this directly onto my face as in the hot humid weather we've been having this has been so cooling and refreshing. Within a couple of minutes it has absorbed and I'm left with soft and refreshed skin. I've also found that this does help to calm the redness across my cheeks. I was quite surprised to find that the rose scent actually lingers for quite a while, which some people may not be keen on, but as I've already mentioned I love the smell so I don't mind this at all. I've not actually tried any Jurlique products before and I was delighted to notice that their products actually have expiry dates printed or stamped on them. In the case of the Balancing mist, in a rather bold mustard yellow colour that I'm glad is tucked away on the bottom of the bottle (I'm superficial and don't like to see pretty packaging ruined!). As I'm sure everybody must be aware by now (if you're not get googling!) 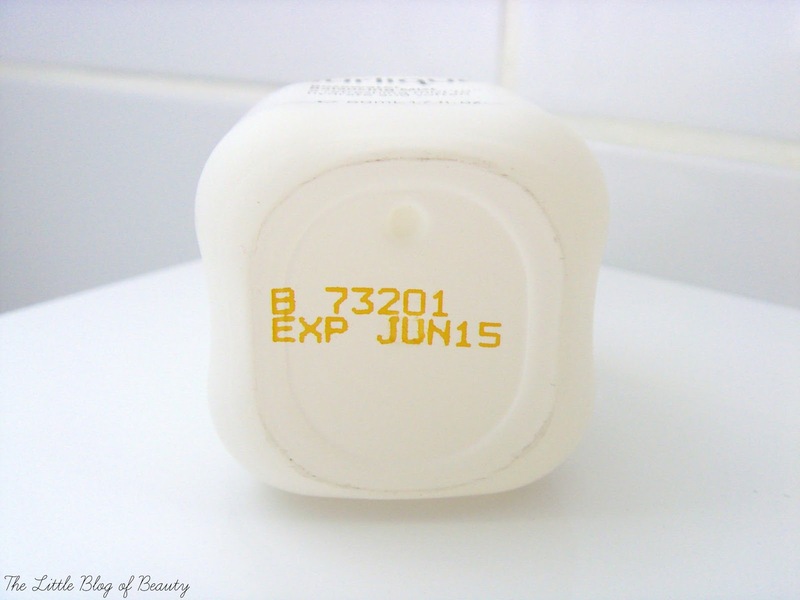 just like the food we eat the skincare and makeup products that we apply to our skin also have best before dates. The problem is many brands don't actually put these expiry dates on their products so if you can't remember when you first bought the product, or you bought it from some kind of discount or outlet store, then there's a chance it may be out of date and past its best. Even if I completely forgot about this product (which won't be happening!) and I find it in a cupboard next January, at least I'll know that I have around another six months to use it before it may no longer be usable. 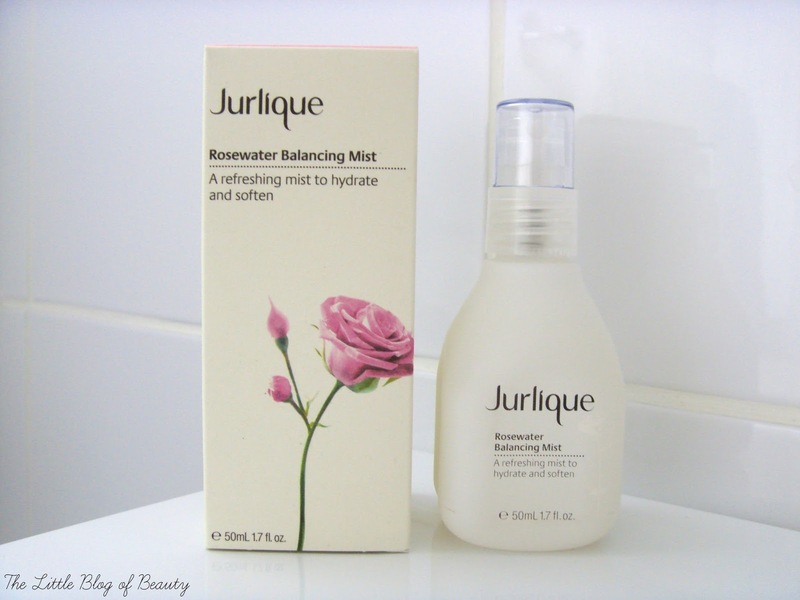 The Jurlique Rosewater Balancing mist comes in 50ml (£16.50) and 100ml (£21.50) and is available on the Jurlique website as well as from Marks & Spencer, Space NK, Lookfantastic and feelunique. Are you a fan of Jurlique's products?